Etienne is a successful intellectual property lawyer with over 10 years of experience in intellectual property prosecution and litigation. Etienne’s patent practice has focused on the mechanical, electrical and high technology fields to take advantage of his technical background. Etienne’s broad patent drafting and prosecution experience includes medical devices, sensors, document imaging, business methods, automation and manufacturing, construction, mining and ore processing, wireless communication, electronic messaging, device security and encryption, data compression and related technologies. Over the years, Etienne has built strong relationships with a network of associates around the world to assist his clients in the worldwide prosecution of their patents. Etienne has assisted clients with obtaining and maintaining their intellectual property portfolios around the world. Etienne has obtained granted patents, trademarks, and industrial designs (design patents) for his clients in multiple jurisdictions including Canada, U.S., Europe, Japan, China, Taiwan, India, countries in Latin America, South America, and more. He has appealed cases to the Canadian Patent Appeal Board and the Canadian Trademarks Opposition Board to obtain favorable outcomes for his clients. 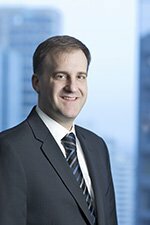 Etienne has worked on large complex patent litigation matters in the Federal Court of Canada covering areas such as mining, wi-fi routers, construction, and document imaging. He has appeared before the Federal Court, as well as prepared written materials for submission at the Federal Court, Federal Court of Appeal, and the Supreme Court of Canada. He holds an undergraduate degree in Engineering Physics and a masters degree in Mechanical Engineering. Etienne’s research experience includes machine vision, intelligent machining, and medical image processing for CNC machining. Etienne is the author or joint author of several articles on intellectual property topics published in various print and online publications, as well as a regular speaker for the Federated Press. Etienne is a registered Canadian Patent & Trademark Agent. Etienne also has limited recognition to represent Canadians in patent matters before the USPTO. "The Patent Prosecution Highway - Canada as an Office of First Filing", ABA Landslide, Jan/Feb 2010.